Grand Cherokee. 200, Avenger. Challenger. Wrangler. Ram 1500. Charger. Durango. 300. 3.2l. Promaster. All models. 3.6L, 2014-19. 3.6L, 2011-13. Ram cargo van. If a part(s) is in stock it will typically ship within 24 hours of the order being placed. Orders placed on the weekend or a holiday will be processed the next business day. Orders not in stock may require an additional 3-5 days for us to receive. Some parts shipped from a manufacturer may require 6-10 business days for us to receive. All orders will be shipped as promptly as possible. Shipping charges are estimated due to location, weight and size - Oversized items may require additional shipping and you will be contacted. Do not set your address as a business unless it is zoned by your city as a business, doing so may cause shipping delays. NOTICE: INTERNATIONAL ORDERS WILL BE SHIPPED DUTY AND TAX COLLECT. YOU MUST PROVIDE YOUR VEHICLE IDENTIFICATION NUMBER TO INSURE ORDER ACCURACY. ORDERS RECEIVED WITHOUT A VIN NUMBER WILL BE NON-RETURNABLE. All products being returned must be 100% complete and must be packaged in original packaging. Refunds are issued for new items only, used items are not accepted for return. No returns on electrical parts or Performance Parts. All returns must be returned within 14 days of receiving your order. All returns are subject to a 25% Restock Fee. We do not cancel orders that have already been processed. Core returns must be sent back in the original Mopar box that the new part was received in. 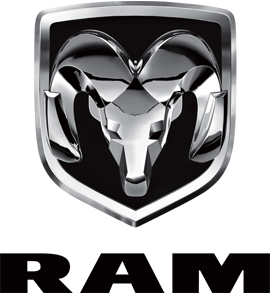 We at Factory MOPAR Direct only Stock Certified OEM Chrysler, Jeep, Dodge, and Ram auto parts and accessories. All of our parts and catalog information comes directly from the MOPAR manufacture, so that you know the parts you order are the highest quality and made specifically to fit your vehicle.